The North Face Women's Summit L4 Softshell Pants is a well-rounded pant for cold-weather climbing and alpine adventures. I wore these pants on new routes in the Sierra and numerous days of ice in southwest Colorado and was pleasantly surprised at their durability and warmth. I groveled up wide cracks, scrambled my way up and down snowy ridges and these pants barely incurred a scratch. Running at $235, they are comparable to other softshell pants on the market and seem like a good bargain considering how tough the fabric is. If you are looking for a softshell pant that you can really beat down, this is the one for you. The Summit L4 Softshell Pant has double-weave fabric with four-way stretch and is made from 93 percent nylon and 7 percent elastane allowing for excellent mobility and little restriction when climbing. One of my least favorite attributes of climbing attire is fabric that impedes your movement. The Summit L4's passed the stretch test, however, with flying colors. Another aspect I really like about these pants is the added durability in the knees and seat. When climbing steep snow, I often like to rest my knee against the slope—so having extra fabric there is crucial for warmth and keeping dry. Same goes for the added durability in the rear. I appreciate a bit of extra toughness to stand up to the wear and tear incurred in the mountains. The Summit L4 Softshell pants come with removable and adjustable suspenders. Most suspenders that are fixed to the pant force you to take off all your top layers (unless there are side zippers) in order to take the pants off, which can be quite the task while climbing a multi-pitch route in the cold. The suspenders on the Summit L4 pant haves hooks on the front attachments that make it east to put them on or take them off. There are stretch-panel gussets at the ankle and an 8-inch zipper that allow the pants to fit well over boots. Or, you can stow the extra fabric with dual-snap closures, which allows you to choose between a tighter or looser fit. This is a great option for colder temps or for days when you're rock climbing and you want to minimize the fabric around the ankle. One of the negative qualities that I found about the L4 pant is that the fabric had a small amount of pilling after repeated washing and drying. It would probably be best to hang dry the pants to minimize this issue. Overall, the Summit L4 Softshell pants are a great addition to your alpine kit. They are durable and warm, reasonably priced, comfortable to wear all day in the mountains, and versatile enough that you can wear them while both ice and rock climbing. 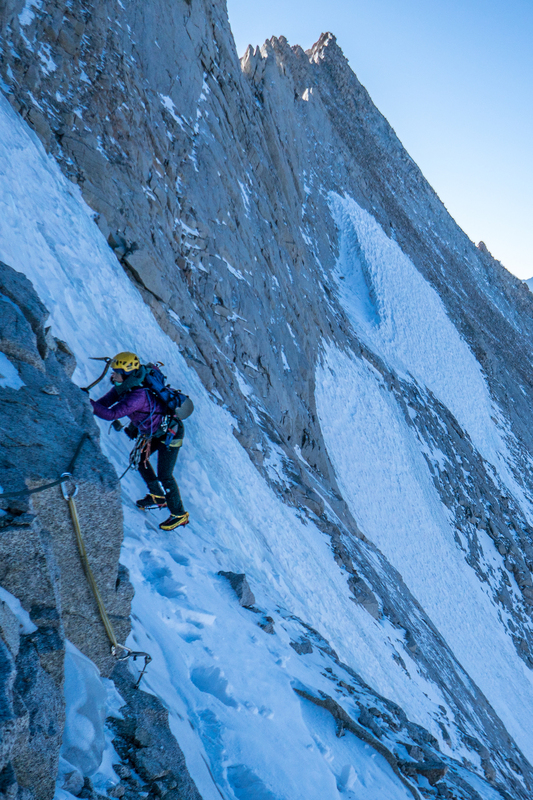 Whitney Clark is frequently traveling the globe in search of first ascents. 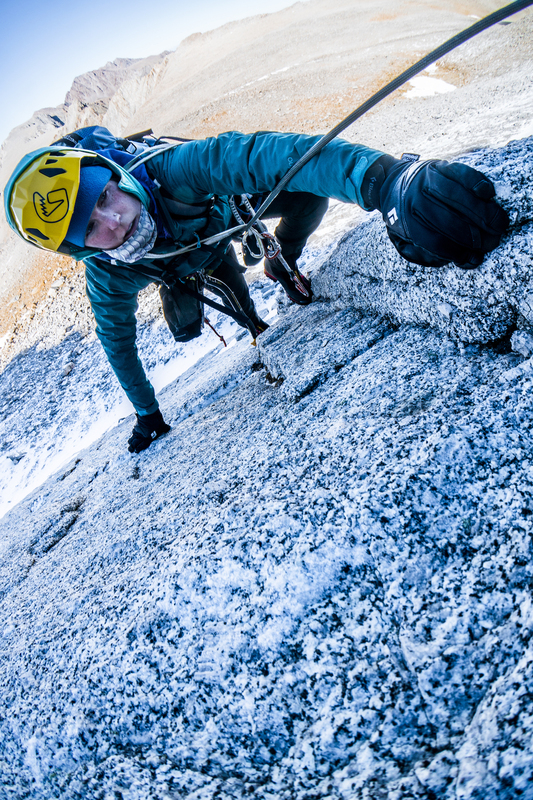 Earlier this year she received a Grit & Rock First Ascent Award and an American Alpine Club Cutting Edge Grant to attempt a new route on the west face of Arjuna (6230m) in India. She is a regular contributor to Alpinist.